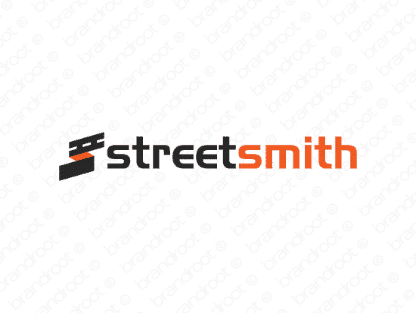 Brand streetsmith is for sale on Brandroot.com! This clever mix of "street" and "smith" fuses urban smarts with ingenuity. Streetsmith conveys an easy confidence that's ideally matched for all manner of creative and artistic brands, from design groups to fashionable apparel. You will have full ownership and rights to Streetsmith.com. One of our professional Brandroot representatives will contact you and walk you through the entire transfer process.